Cheap Replacement for fans in Front Fan Assembly? Discussion in 'Mac Pro' started by slughead, Jan 13, 2012. After 5 years, my front fan assembly started making crappy noises last night. I bought this thing in 2006, and needless to say, it is out of warranty. I found an $80 replacement online and I can't bring myself to pay 5 times what these things are worth. I'm willing to drill out the fans and replace them. My question is: Has anyone tried to swap these out? I heard they are two 120MM fans. I want to use the existing on-board power source. Is that a problem? Will the computer fault for the change in current? I've had success refurbishing Mac fans. If you can get the fans out, down to just the fans (no housing), you can clean and relubricate them. Peel the sticker off of the fan motor that covers the fan spindle. Then either soak the entire fan, or pour Marvel Mystery Oil into the bearing area and let it soak. The liquid is non-conductive and isn't a harsh solvent, nor does it stink. It smells faintly minty and is bright red with the consistency of transmission fluid. After 10-20min the fan should be ready to be thoroughly cleaned and re-installed. The MMO stays in the bearing but flushes out any dust that accumulates and gunks up inside it as well. I've never run into a fan, no matter how noisy or choppy, that I couldn't fix using this method. It can save a lot of money in your case. I will do this and post my results. I don't know if it still applies to Macs of your vintage, but I know the current ones cannot use "normal" PWM fans since they use a proprietary speed control on the 4th wire. Attempting to clean out the fan bearings may be a good first attempt to avoid the necessity of replacement - at least you will be not much worse off. I was going to say...... those fans look like standard 80mm units, but I did forget they were 4pin. Otherwise, you could swap any other fan right in and call it a day. I'm hoping to revive this thread. 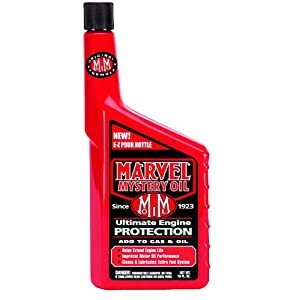 The front fans on my Mac Pro 1,1 are also beginning to become noisy (grinding, whining) and would like to try your method of using Marvel Mystery Oil to lubricate them. My question is in regards to how much of the MMO to use. Normally, it's recommended to use only a single drop of oil to lubricate a fan in this manner, but your description says to actually "pour" the MMO into the bearing area and let it soak. I just wanted to confirm that this is correct, as wouldn't that be far too much oil? Or, if I'm understanding correctly, is the idea to clean up any excess from around the end of the shaft after it has had a chance to soak in and work its "magic"? Basically, if you could take a moment to clarify this process I'd really appreciate it. Just want to be sure I get it done right! The best thing you can use on fans is Teflon Non-Stick Dry-Film Spray, as it's friction is as low as you can go. GermanyChris swapped his fans - he opened a thread. Check it out! Well, I would fill a little bucket with the MMO and let the entire fan soak in it. Obviously, you need to do a GREAT job of cleaning the fan after this so oil doesn't spray all over the inside of your MP. A few paper towels to wipe off the blades and housing, and then let the fan sit on a paper towel overnight so the MMO can drain down out of it. If this sounds messy, it's because it is. I wouldn't blame you if you decided to only pour a little bit into the motor area and call it a day. It should still help. They're just 120mm standard PC fans..yes apple has a special PWM but modern fans don't spin all that fast and move more air..best of all they're quieter than stock. Thanks for replying. Yeah, sounds messy and it might be a little overkill my situation, since the noise isn't THAT bad. I've definitely heard worse noises from a fan before. I purchased a bottle of the MMO today. My plan is to peel back the stickers and fill up the bearing wells of both fans with the oil and let it soak in for an hour or so, then clean out the wells thoroughly with a paper towel before reinstalling the assembly. Hopefully that will take care of the noise, at least enough to not bother me anymore. If this doesn't help, I'll consider submerging the entire fans as you suggest, although that does seem a bit extreme in my case. So what was the end result of the experiment? Did it revive the fan? How long did this fix last? Is it still currently working?